Former British prime minister John Major urged Theresa May on Saturday to drop her “red lines” on Brexit or allow parliament to find a way forward to avoid a damaging no-deal departure from the European Union in March, Trend reports referring to Reuters. Major said he compromised on key decisions on the Northern Irish peace process and the first Gulf War while prime minister between 1990 and 1997, and May should do the same after her Brexit plan was rejected by a huge majority in parliament. “Her deal is dead and I don’t think honestly that tinkering with it is going to make very much difference if any difference at all,” Major, who campaigned to stay in the EU ahead of the 2016 referendum, told BBC Radio. May is due to tell parliament on Monday how she intends to proceed on Brexit. Lawmakers may then propose alternatives to see if any could command majority support. “If we leave in chaos and without a deal, that seems to me to be the worst of all outcomes,” Major said. May should therefore “go around” lawmakers in her party who say they are ready to accept a no-deal Brexit and drop her opposition to key issues in the negotiations, Major - who also faced a revolt inside the Conservative Party over Europe - said. May has ruled out staying in the EU’s single market, an option that is considered less economically damaging, because Britain would not be able to control immigration from the bloc. She has also rejected staying in a customs union with the EU. If May cannot compromise, she should allow parliament to find a way to overcome its splits, Major said. “I think there are signs parliament might be able to reach consensus,” he said. Failing that, Britain should have a fresh referendum on its membership of the EU. In the meantime, delaying Brexit was wise, Major said. Major’s comments were rejected as “Remainer elite views” by a Conservative lawmaker who said May would break her promises to voters if she considered staying in the EU’s single market or a customs union or holding a second referendum. “Brexit would become meaningless. 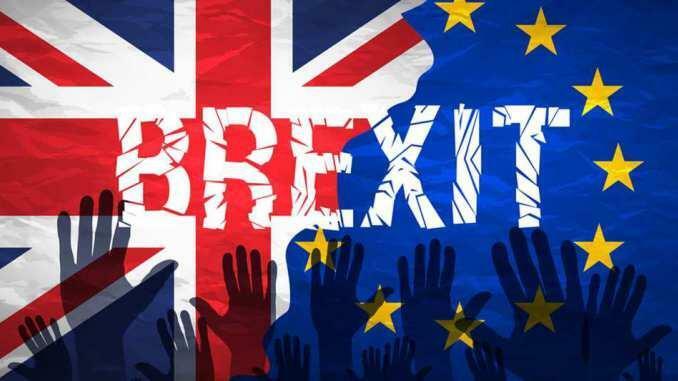 We wouldn’t be leaving the European Union, we would be staying in the European Union,” Suella Braverman told the BBC.